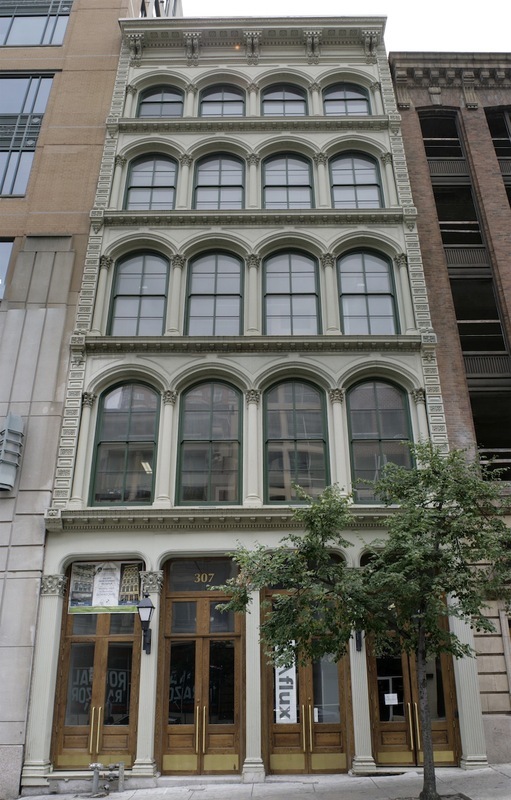 The Appold- Faust Brothers Building at 307-309 West Baltimore Street is one of a handful of surviving cast-iron fronted buildings in Baltimore and one of the only structures in the city that can boast two iron facades on front and back. The building's first owner, George J. Appold, a prominent entrepreneur and owner of Appold and Sons (the city's leading tannery and leather dealer), commissioned builder Benjamin F. Bennet to construct this Italianate structure in 1870. Appold advertised the space as suitable for any business requiring space, light, and an independent entrance on Baltimore Street. 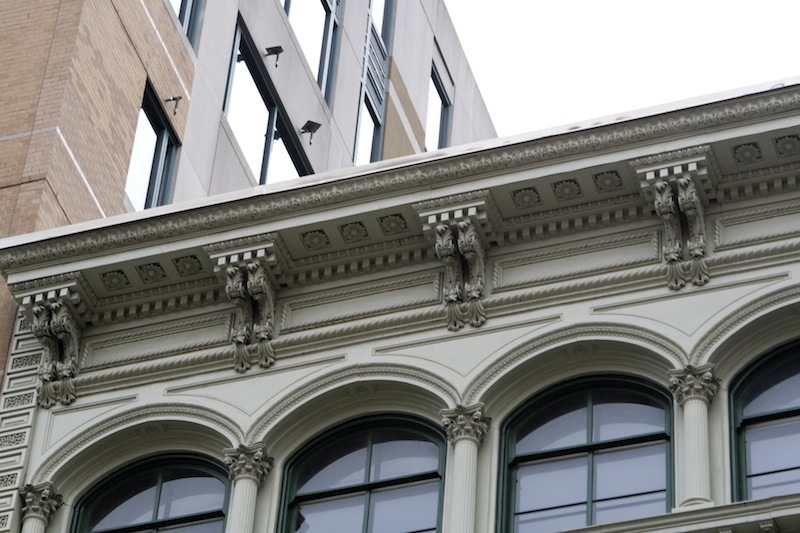 With its Corinthian columns, arched windows, and graceful segmented bays, the building was an elegant addition to the area and remains one of the finest examples of iron façade construction in Baltimore. John Faust, a German immigrant and shoe manufacturing pioneer bought the building from George Appold in 1875 for $78,000. Faust soon demolished two buildings behind the structure and added a cast iron-front on Redwood Street as the entrance warehouse for his shoe factory. Faust was the first shoe manufacturer south of the Mason Dixon line to use machinery to craft shoes. 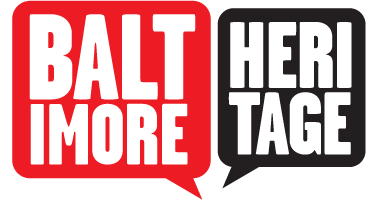 Though the Great Baltimore Fire of 1904 threatened the building it emerged unscathed—together with its neighbors on the south side of Baltimore Street. The building has still seen its fair share of fire and destruction. Just three years after the Great Baltimore Fire, the Baltimore Sun reported that the structure (which at the time housed two local auction firms—Grotjan, Lobe & Co. and Lobe, Winkler & Co.) experienced a fire that caused $95,000 worth of damage, injured 15 people, and killed Baltimore fireman Tillerman Gill, who perished when a poorly constructed portion of the top floor, collapsed. 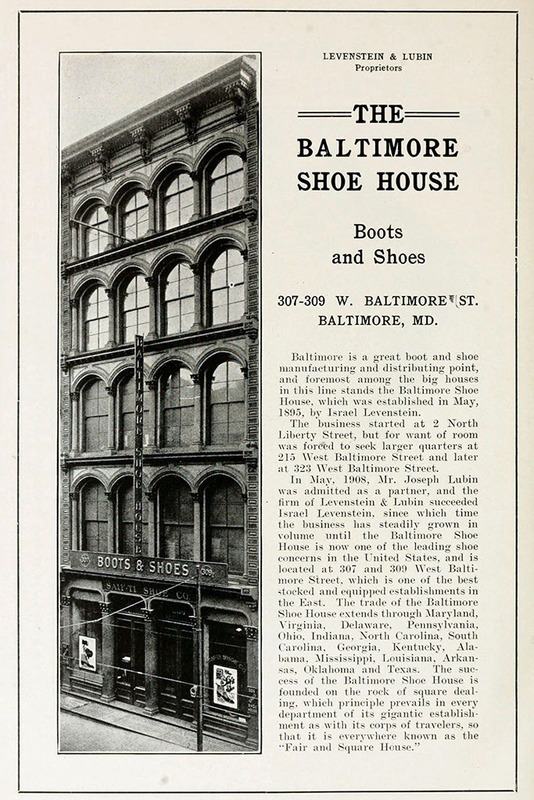 The owners repaired the building and, in 1908, the Baltimore Shoe House, proudly known as "The Fair and Square House" moved in. Israel Levenstein, a Russian Jewish immigrant who founded the firm in 1895 had welcomed partner Joseph Lubin into the business in that same year. The firm sold shoes and boots in the Mid-Atlantic and the South, and as far west as Texas and Oklahoma. After workers had gone home on a brisk October night in 1911 the Appold-Faust Building once again caught fire. The fire began in the basement and though over $20,000 worth of merchandise was lost, the automatic fire-alarm box in the building alerted the fire department in time and the building itself suffered only light damage. Various shoe wholesalers and a host of merchants (including Hochschild Kohn, who used it as a warehouse in the 1920s) occupied this site in the early years of the twentieth century. From 1941 to the 1970s, a riding store called The Trading Post operated out of the building and in 2006 it was sold to Faust Brothers, LLC and rehabilitated as office space. Dan Windmueller and Theresa Donnelly, “Appold-Faust Building,” Explore Baltimore Heritage, accessed April 19, 2019, https://explore.baltimoreheritage.org/items/show/121. Published on Aug 30, 2012. Last updated on Nov 27, 2018.